Listen to "Bible (ASV) 19: Psalms" on your iOS and Android device. 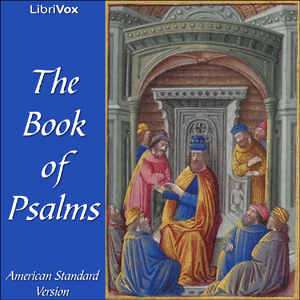 "Psalms is a book of the Hebrew Bible included in the collected works known as the Writings. Psalms were written by various writers, including Israel's King David. The Book of Psalms is divided into five books: Book 1 -- Psa. 1-41; Book 2 -- Psa. 42-72; Book 3 -- Psa. 73-89; Book 4 -- Psa. 90-106; and Book 5 -- Psa. 107-150. The collection includes the following types of psalm, among others: Psalms for praise, guidance, consolation, recognition of God's creation, the need for repentance. Certain Psalms, such as Psa. 22 and Psa. 110 are accepted by Christians and certain Jews as messianic or containing messianic prophecies."